CAR Lonea IFN has modern offices, in Lonea, Petrila and Vintu de Jos-Alba. All are modernized, properly equipped, offering both the functionality and security required by the law for financial institutions. The offices are connected by an informational infrastructure. 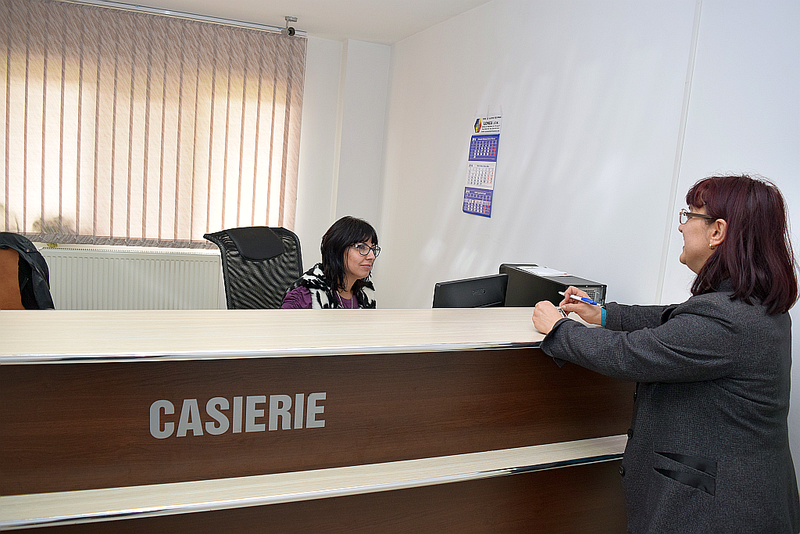 The financial records are kept using the softwares developed and implemented by the IT Department of UTCAR West Region. This led to a significant decrease of credit risks thanks to the access to a central database of loans and endorsements, to a proper use of the credit unions assets. Due to the very good financial results, CAR Lonea IFN stays enrolled in the top performance credit unions of UTCAR West Region, rated as a solid A class institution. It's significant that CAR Lonea maintained a positive trend even in the hard years of the financial crisis. This offered satisfaction to all members. 2015 continued the upward trend of the previous years, CAR Lonea obtained the best possible rating based on the National Bank standards (A111). The surplus at the end of the year exceeded the budget provisions. Most of this surplus returned to the members as interest on their shares account, the rest increased the statutory and risk reserves of the credit union. The increased liquidity required< the introduction of new loans in addition to the existing financial products. 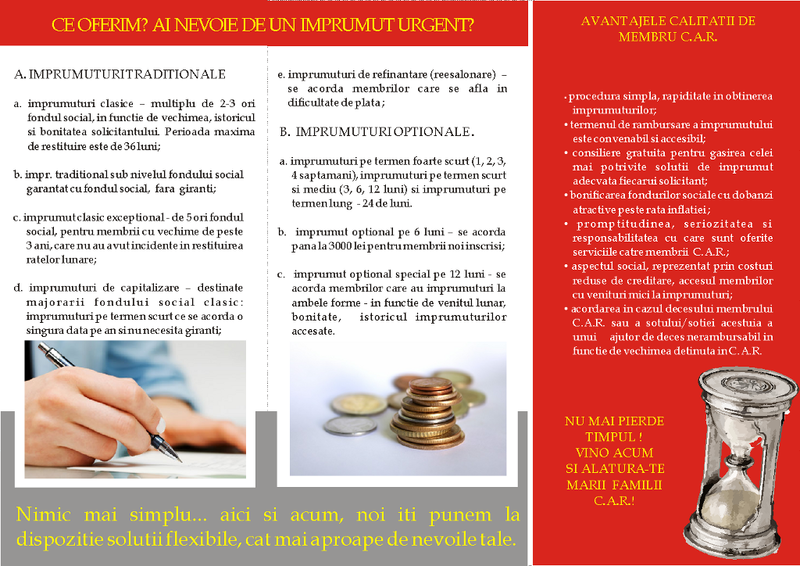 The promotional loans, occasioned by the religious holidays of Christmas and Easter were highly appreciated by our members, The future strategy focuses on expanding the range of services in order to continuously meet members needs and expectations, but also to continue the development of the institution and improve the involvement in the social campaigns supervised by UTCAR Hunedoara like the scholarship program known as "Developement Through Knowledge". This scholarship program already allowed us to finance the studies of one of our members child. A very important aspect is the territorial expansion of our activity, coordinated by UTCAR West Region. 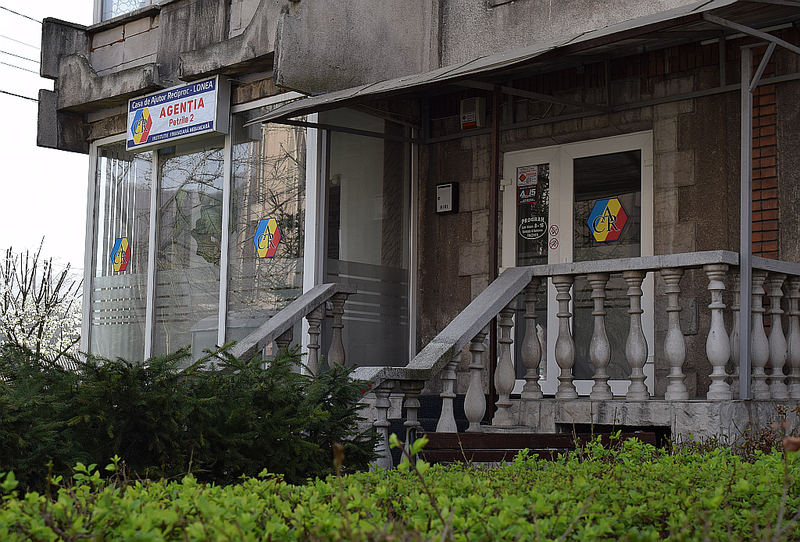 We already opened an agency in Alba County, in Vintu de Jos, during 2015, and we intend to continue this trend in order to broaden the financial services to an entirely new class of members. The yearly interest members receive on their shares accounts has rates that exceed both the inflation rate and the interest rates banks and other financial institutions offer for deposits, ensuring a good protection for the value of members savings. The social dimension of CAR Lonea's activity is also emphasized by the burial aid received by deceased members successors. The trust and satisfaction manifested by the members, their fidelity are arguments that even though the roots of mutual aid are in the 18-th century, the principles of modern credit unions are still efficient and attractive. Classic loans–2-3 times the members funds, depending on the members history and creditworthyness. Very short term loans (1,2,3,4 weeks), short and medium term loans (3,6,12 months) and long term loans. Special optional loan-awarded to members who already accessed two loans. Depends on the members income, creditworthyness and the history of reimbursements. The advantages of being a credit union member reside in the social aspect: low cost of the credits, the acces of members with low incomes to the loans, the burrial aid that successors receive in case of the members death (recently extended to family members too). CAR Lonea appeared in 1955 as an appendix of the workers union of the Lonea Mine. At the time the law established that both the credit union activity and it's management are subordinated to the national association of the workers unions. As an entity functioning beside the Lonea Mine, the members were also exclusively employees of the mine. In the first years, CAR Lonea operated on a low level, in 1974 had only 281 members. The increasing importance of the mining industry and the growth of the Lonea mine attracted increases in the mutual aid activity too. The members numbers increased as the result of the the growing number of the mine employees, a full time accountant was hired and she was voluntarily assisted by an important team of contributors that helped fulfilling the social and financial goals of the association. In 1985 CAR Lonea had already 1603 members, a large majority of the mines employees. 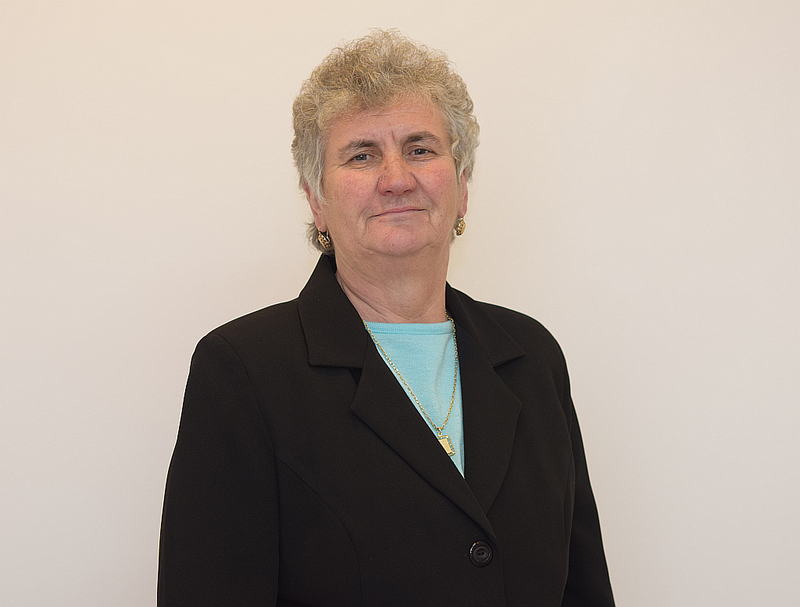 The early 1990's brought important changes in every aspect uf CAR Lonea's activity. 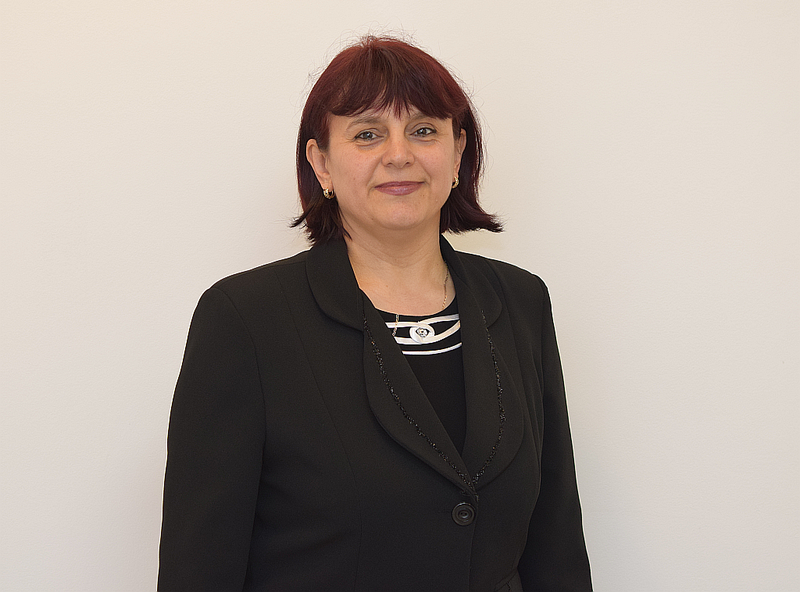 The law established credit unions as independent institutions, no longer attached to workers unions, so CAR Lonea registered as and independent not-for-profit association, affiliated to the countywide association, the UTCAR Hunedoara. It gradually expanded the activity outside the mine, maintaining in the meantime good relations with the mine and its employees. 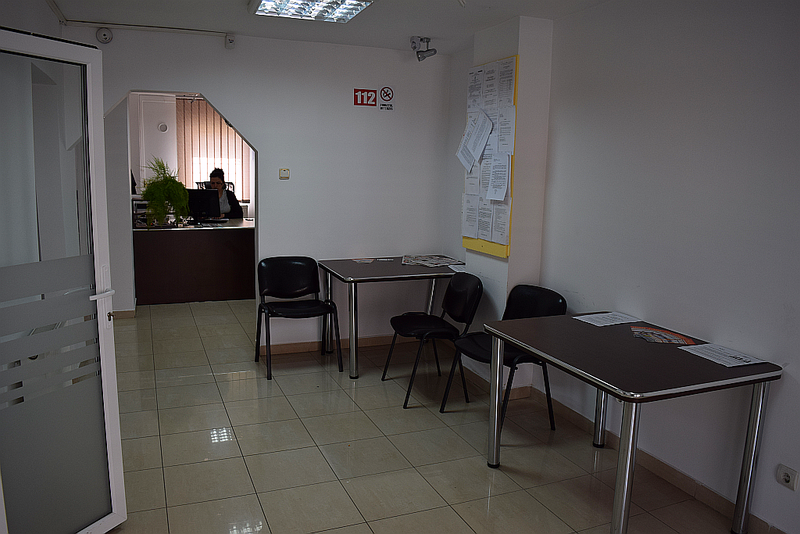 The financial records have been computerized, the credit union was fitted with modern computers and office equipments. All these changes kept CAR Lonea on the ascending trend. After 1997 the decreasing interest of the goverments in the mining industry started to create problems in the monoindustrial Jiul Valley. The collective dismissals that started in 1997 created problems to CAR Lonea just as they did to the entire population, so the management of the credit union accelerated the process of expanding outside the mine. This lead, among other decisions, to the purchase of an office space outside the mine, to serve as new main office. 1997 was also the year when new law of credit unions appeared. 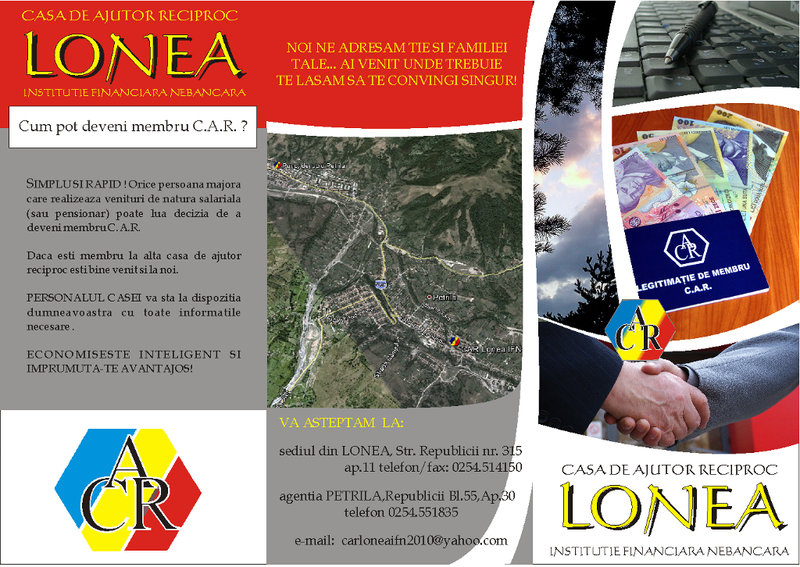 CAR E.M. Lonea renewed it's status as a not-for-profit association based on the free consent of present and former employees of Lonea Mine, with the goal of developing ties of solidarity and mutual material support through loans. In 2003 a new legislative change cemented the status of credit unions as professional credit institutions, set up a precise institutionalized framework designed to ensure the safety of the credit unions assets and funds, in order to ensure mutual support of members. 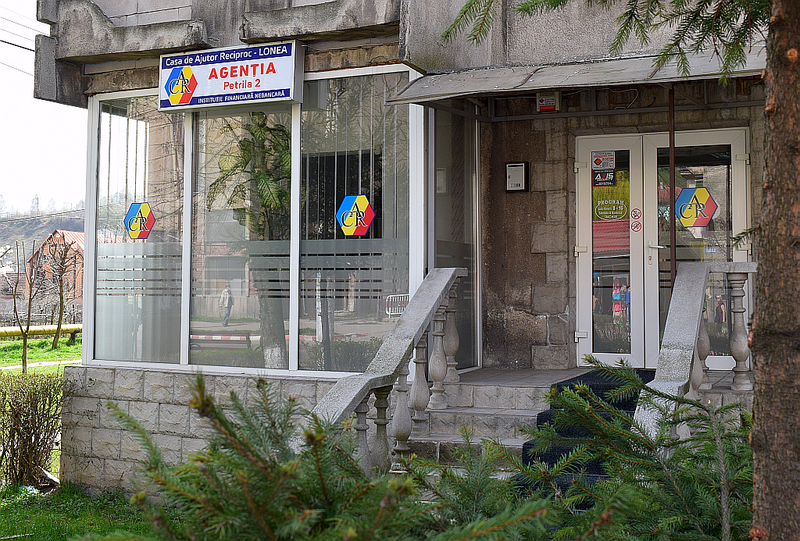 In 2006 CAR E.M. Lonea took over a small credit union of 350 members from Petrila, as part of the UTCAR policy of merging smaller entities to the powerful ones. This way an agency appeared in downtown Petrila. At the end of 2006 in order to be in compliance with the new laws of non-banking financial institutions, the credit union changed it's name into CAR. 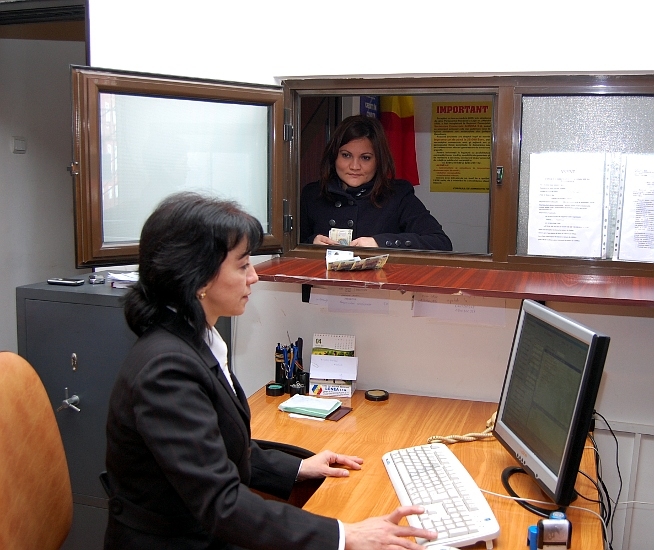 Lonea IFN, and got registered at the National Bank of Romania.